** SPORT PACKAGE **, ** ALLOY WHEELS **, ** BLUETOOTH **, ** HEATED FRONT SEATS **, ** SUNROOF/MOONROOF **, Alloy wheels, Avant Garde Package (Sport), Heated Front Seats, Power Folding Mirrors, Power moonroof, Sportline Package.CARFAX One-Owner. 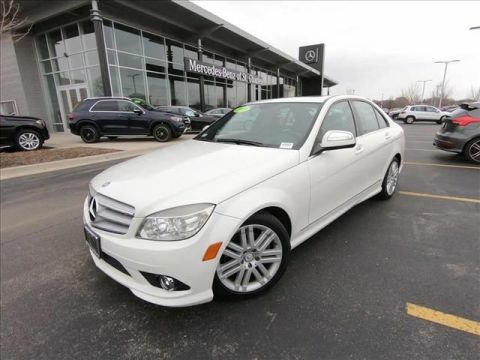 Odometer is 56608 miles below market average!2008 Mercedes-Benz C-Class 4D Sedan White C 300 Sport 3.0L V6 DOHC RWD 7-Speed AutomaticShopping at Mercedes-Benz of St Charles is car buying the way it should be: fun, informative and fairHere are our promises:* Transparent Pricing and Sales Process! * Pressure Free, Efficient, Friendly, and Helpful Sales Staff! * One Massive Inventory For One Stop Shopping! * No Hassle Sell or Trade Any Car* Pressure Free Road Test* Certified Factory Backed Service with Shuttle Service and Free Loaner Cars!Mercedes Benz of St Charles - The Best or Nothing! - Come See For Yourself Today! ** SPORT PACKAGE **, ** ALLOY WHEELS **, ** BLUETOOTH **, ** HEATED FRONT SEATS **, ** SUNROOF/MOONROOF **, Alloy wheels, Avant Garde Package (Sport), Heated Front Seats, Power Folding Mirrors, Power moonroof, Sportline Package.CARFAX One-Owner. 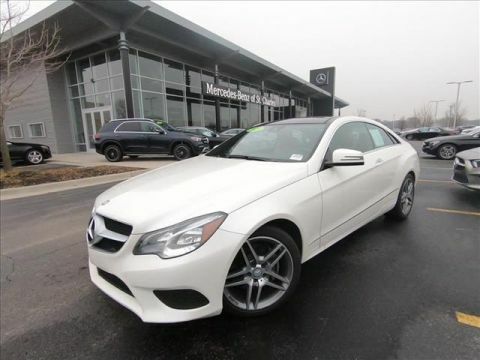 Odometer is 56608 miles below market average!2008 Mercedes-Benz C-Class 4D Sedan White C 300 Sport 3.0L V6 DOHC RWD 7-Speed AutomaticShopping at Mercedes-Benz of St Charles is car buying the way it should be: fun, informative and fairHere are our promises:* Transparent Pricing and Sales Process! * Pressure Free, Efficient, Friendly, and Helpful Sales Staff! * One Massive Inventory For One Stop Shopping! * No Hassle Sell or Trade Any Car* Pressure Free Road Test* Certified Factory Backed Service with Shuttle Service and Free Loaner Cars!Mercedes Benz of St Charles - The Best or Nothing! - Come See For Yourself Today! ** NAVIGATION ! **, ** PREMIUM 1 PACKAGE **, ** ALLOY WHEELS **, ** BLUETOOTH **, ** LANE TRACKING/BLIND SPOT ASSIST **, ** BACK-UP CAMERA! **, ** HEATED FRONT SEATS **, ** KEYLESS START **, ** SUNROOF/MOONROOF **, ** CERTIFIED BY CARFAX - NO ACCIDENTS! **, ** 18 INCH AMG® WHEELS **, 18 AMG®? Twin 5-Spoke Alloy Wheels, Blind Spot Assist, COMAND®? 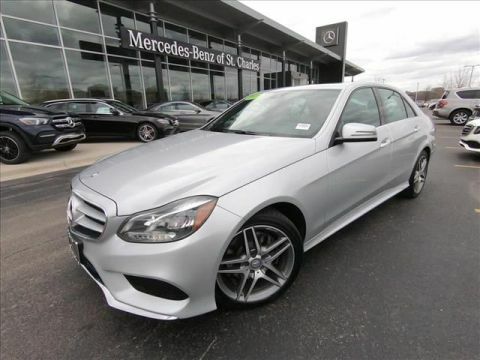 System w/Hard-Drive Navigation, Heated Front Bucket Seats, KEYLESS GO?, Lane Keeping Assist, Lane Tracking Package, Multimedia Package, Radio: In-Dash 6-Disc DVD/CD Changer, Rear-View Camera, Voice Control.Odometer is 20761 miles below market average!2013 Mercedes-Benz C-Class 2D Coupe Black C 350 Sport 4MATIC®? 3.5L V6 DOHC 24V 4MATIC®? 7G-TRONIC PLUS 7-Speed AutomaticAwards: * 2013 IIHS Top Safety Pick * ALG Best Residual ValueShopping at Mercedes-Benz of St Charles is car buying the way it should be: fun, informative and fairHere are our promises:* Transparent Pricing and Sales Process! * Pressure Free, Efficient, Friendly, and Helpful Sales Staff! * One Massive Inventory For One Stop Shopping! * No Hassle Sell or Trade Any Car* Pressure Free Road Test* Certified Factory Backed Service with Shuttle Service and Free Loaner Cars!Mercedes Benz of St Charles - The Best or Nothing! - Come See For Yourself Today! ** NAVIGATION ! **, ** PREMIUM 1 PACKAGE **, ** ALLOY WHEELS **, ** BLUETOOTH **, ** LANE TRACKING/BLIND SPOT ASSIST **, ** BACK-UP CAMERA! **, ** HEATED FRONT SEATS **, ** KEYLESS START **, ** SUNROOF/MOONROOF **, ** CERTIFIED BY CARFAX - NO ACCIDENTS! **, ** 18 INCH AMG® WHEELS **, 18 AMG®? Twin 5-Spoke Alloy Wheels, Blind Spot Assist, COMAND®? 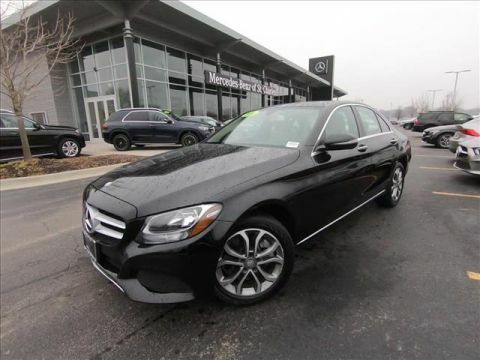 System w/Hard-Drive Navigation, Heated Front Bucket Seats, KEYLESS GO?, Lane Keeping Assist, Lane Tracking Package, Multimedia Package, Radio: In-Dash 6-Disc DVD/CD Changer, Rear-View Camera, Voice Control.Odometer is 20761 miles below market average!2013 Mercedes-Benz C-Class 2D Coupe Black C 350 Sport 4MATIC®? 3.5L V6 DOHC 24V 4MATIC®? 7G-TRONIC PLUS 7-Speed AutomaticAwards: * 2013 IIHS Top Safety Pick * ALG Best Residual ValueShopping at Mercedes-Benz of St Charles is car buying the way it should be: fun, informative and fairHere are our promises:* Transparent Pricing and Sales Process! * Pressure Free, Efficient, Friendly, and Helpful Sales Staff! * One Massive Inventory For One Stop Shopping! * No Hassle Sell or Trade Any Car* Pressure Free Road Test* Certified Factory Backed Service with Shuttle Service and Free Loaner Cars!Mercedes Benz of St Charles - The Best or Nothing! - Come See For Yourself Today! ** NAVIGATION ! **, ** PREMIUM 1 PACKAGE **, ** SPORT PACKAGE **, ** ALLOY WHEELS **, ** BLUETOOTH **, ** BACK-UP CAMERA! **, ** HEATED FRONT SEATS **, ** SUNROOF/MOONROOF **, ** CERTIFIED BY CARFAX - NO ACCIDENTS! **, ** HARMAN/KARDON SURROUND SOUND **, 18 Twin 5-Spoke Alloy Wheels, Brake assist, COMAND®? System w/Hard-Drive Navigation, Electronic Stability Control, Heated Front Seats, iPod/MP3 Media Interface, iPod/MP3 Media Interface Cable, Power moonroof, Power Rear Window Sunshade, Premium 1 Package, Premium Sound System, Rear-View Camera, SIRIUS Satellite Radio.Recent Arrival! Clean CARFAX. Odometer is 11279 miles below market average!2013 Mercedes-Benz E-Class 4D Sedan Palladium Silver Metallic E 350 4MATIC®? 3.5L 6-Cylinder DOHC 4MATIC®? 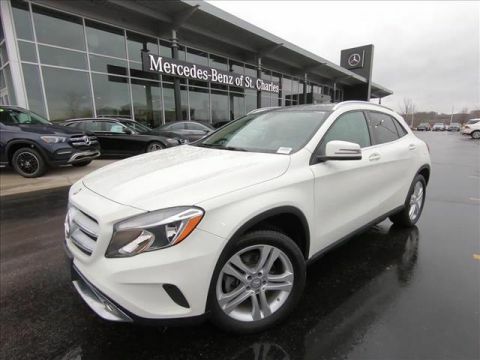 7-Speed AutomaticShopping at Mercedes-Benz of St Charles is car buying the way it should be: fun, informative and fairHere are our promises:* Transparent Pricing and Sales Process! * Pressure Free, Efficient, Friendly, and Helpful Sales Staff! * One Massive Inventory For One Stop Shopping! * No Hassle Sell or Trade Any Car* Pressure Free Road Test* Certified Factory Backed Service with Shuttle Service and Free Loaner Cars!Mercedes Benz of St Charles - The Best or Nothing! - Come See For Yourself Today! ** NAVIGATION ! **, ** PREMIUM 1 PACKAGE **, ** SPORT PACKAGE **, ** ALLOY WHEELS **, ** BLUETOOTH **, ** BACK-UP CAMERA! **, ** HEATED FRONT SEATS **, ** SUNROOF/MOONROOF **, ** CERTIFIED BY CARFAX - NO ACCIDENTS! **, ** HARMAN/KARDON SURROUND SOUND **, 18 Twin 5-Spoke Alloy Wheels, Brake assist, COMAND®? System w/Hard-Drive Navigation, Electronic Stability Control, Heated Front Seats, iPod/MP3 Media Interface, iPod/MP3 Media Interface Cable, Power moonroof, Power Rear Window Sunshade, Premium 1 Package, Premium Sound System, Rear-View Camera, SIRIUS Satellite Radio.Recent Arrival! Clean CARFAX. Odometer is 11279 miles below market average!2013 Mercedes-Benz E-Class 4D Sedan Palladium Silver Metallic E 350 4MATIC®? 3.5L 6-Cylinder DOHC 4MATIC®? 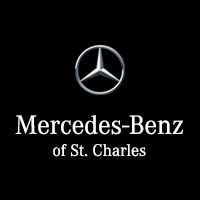 7-Speed AutomaticShopping at Mercedes-Benz of St Charles is car buying the way it should be: fun, informative and fairHere are our promises:* Transparent Pricing and Sales Process! * Pressure Free, Efficient, Friendly, and Helpful Sales Staff! * One Massive Inventory For One Stop Shopping! * No Hassle Sell or Trade Any Car* Pressure Free Road Test* Certified Factory Backed Service with Shuttle Service and Free Loaner Cars!Mercedes Benz of St Charles - The Best or Nothing! - Come See For Yourself Today! Recent Arrival! Odometer is 23945 miles below market average!2013 Mercedes-Benz GLK 4D Sport Utility Black GLK 350 4MATIC®? 3.5L V6 DOHC 24V 4MATIC®? 7-Speed AutomaticAwards: * 2013 IIHS Top Safety PickShopping at Mercedes-Benz of St Charles is car buying the way it should be: fun, informative and fairHere are our promises:* Transparent Pricing and Sales Process! * Pressure Free, Efficient, Friendly, and Helpful Sales Staff! * One Massive Inventory For One Stop Shopping! * No Hassle Sell or Trade Any Car* Pressure Free Road Test* Certified Factory Backed Service with Shuttle Service and Free Loaner Cars!Mercedes Benz of St Charles - The Best or Nothing! - Come See For Yourself Today!Recent Arrival! Odometer is 23945 miles below market average!2013 Mercedes-Benz GLK 4D Sport Utility Black GLK 350 4MATIC®? 3.5L V6 DOHC 24V 4MATIC®? 7-Speed AutomaticAwards: * 2013 IIHS Top Safety PickShopping at Mercedes-Benz of St Charles is car buying the way it should be: fun, informative and fairHere are our promises:* Transparent Pricing and Sales Process! * Pressure Free, Efficient, Friendly, and Helpful Sales Staff! * One Massive Inventory For One Stop Shopping! * No Hassle Sell or Trade Any Car* Pressure Free Road Test* Certified Factory Backed Service with Shuttle Service and Free Loaner Cars!Mercedes Benz of St Charles - The Best or Nothing! - Come See For Yourself Today! ** CERTIFIED BY CARFAX - NO ACCIDENTS! **, ** 170 CARGO VAN **, ABS brakes, Electronic Stability Control, Illuminated entry, Low tire pressure warning, Remote keyless entry, Traction control.Clean CARFAX.2011 Mercedes-Benz Sprinter 2500 3D Cargo Van White Cargo 170 WB BlueTEC®? BlueTEC®? 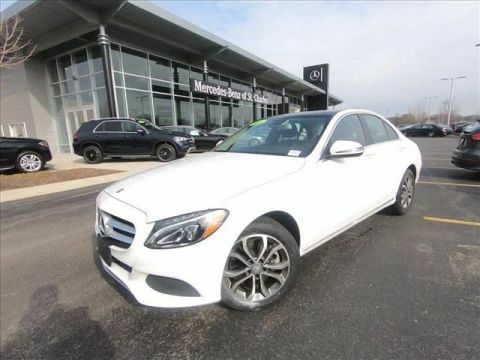 3.0L V6 DOHC Turbodiesel RWD 5-Speed AutomaticShopping at Mercedes-Benz of St Charles is car buying the way it should be: fun, informative and fairHere are our promises:* Transparent Pricing and Sales Process! * Pressure Free, Efficient, Friendly, and Helpful Sales Staff! * One Massive Inventory For One Stop Shopping! * No Hassle Sell or Trade Any Car* Pressure Free Road Test* Certified Factory Backed Service with Shuttle Service and Free Loaner Cars!Mercedes Benz of St Charles - The Best or Nothing! - Come See For Yourself Today! ** CERTIFIED BY CARFAX - NO ACCIDENTS! **, ** 170 CARGO VAN **, ABS brakes, Electronic Stability Control, Illuminated entry, Low tire pressure warning, Remote keyless entry, Traction control.Clean CARFAX.2011 Mercedes-Benz Sprinter 2500 3D Cargo Van White Cargo 170 WB BlueTEC®? BlueTEC®? 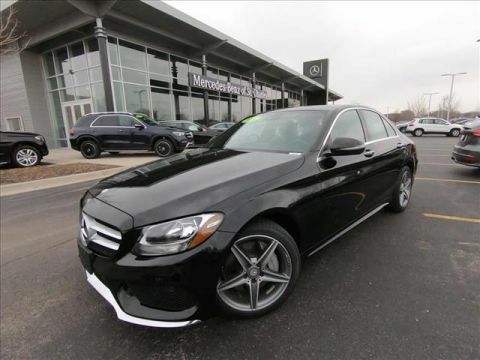 3.0L V6 DOHC Turbodiesel RWD 5-Speed AutomaticShopping at Mercedes-Benz of St Charles is car buying the way it should be: fun, informative and fairHere are our promises:* Transparent Pricing and Sales Process! * Pressure Free, Efficient, Friendly, and Helpful Sales Staff! * One Massive Inventory For One Stop Shopping! * No Hassle Sell or Trade Any Car* Pressure Free Road Test* Certified Factory Backed Service with Shuttle Service and Free Loaner Cars!Mercedes Benz of St Charles - The Best or Nothing! - Come See For Yourself Today! ** NAVIGATION ! **, ** PREMIUM 1 PACKAGE **, ** ALLOY WHEELS **, ** BLUETOOTH **, ** BACK-UP CAMERA! **, ** HEATED FRONT SEATS **, ** KEYLESS START **, ** SUNROOF/MOONROOF **, ** REAR SEAT ENTERTAINMENT **, ** CERTIFIED BY CARFAX - NO ACCIDENTS! **, ** BLIND SPOT ASSIST **, ** BRUSHED ALLUMINUM RUNNING BOARDS **, ** HEATED STEERING WHEEL **, ** PARKTONIC **, 115V AC Power Outlet, Auto-Dimming Driver Side & Rear View Mirrors, Blind Spot Assist, Brushed Aluminum Running Boards w/Rubber Studs, Class IV Trailer Hitch, COMAND®? w/Navigation, Heated Front Seats, Heated Multifunction Steering Wheel, iPod/MP3 Media Interface, iPod/MP3 Media Interface Cable, KEYLESS GO?, Power Driver Seat & Steering Column w/Memory Package, Power Folding Mirrors, Power Liftgate, Power Passenger Seat w/Memory, Power Telescoping & Tilt Steering Column, Premium I, Rear-View Camera, SiriusXM Satellite Radio w/HD.Recent Arrival! Odometer is 26558 miles below market average!2012 Mercedes-Benz GL-Class 4D Sport Utility Capri Blue Metallic GL 450 4MATIC®? 4.6L V8 DOHC 32V 4MATIC®? 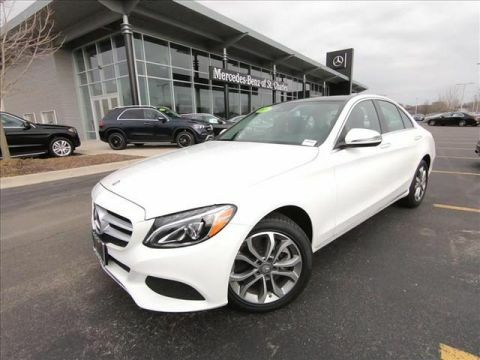 7-Speed AutomaticShopping at Mercedes-Benz of St Charles is car buying the way it should be: fun, informative and fairHere are our promises:* Transparent Pricing and Sales Process! * Pressure Free, Efficient, Friendly, and Helpful Sales Staff! * One Massive Inventory For One Stop Shopping! * No Hassle Sell or Trade Any Car* Pressure Free Road Test* Certified Factory Backed Service with Shuttle Service and Free Loaner Cars!Mercedes Benz of St Charles - The Best or Nothing! - Come See For Yourself Today! ** NAVIGATION ! **, ** PREMIUM 1 PACKAGE **, ** ALLOY WHEELS **, ** BLUETOOTH **, ** BACK-UP CAMERA! **, ** HEATED FRONT SEATS **, ** KEYLESS START **, ** SUNROOF/MOONROOF **, ** REAR SEAT ENTERTAINMENT **, ** CERTIFIED BY CARFAX - NO ACCIDENTS! **, ** BLIND SPOT ASSIST **, ** BRUSHED ALLUMINUM RUNNING BOARDS **, ** HEATED STEERING WHEEL **, ** PARKTONIC **, 115V AC Power Outlet, Auto-Dimming Driver Side & Rear View Mirrors, Blind Spot Assist, Brushed Aluminum Running Boards w/Rubber Studs, Class IV Trailer Hitch, COMAND®? w/Navigation, Heated Front Seats, Heated Multifunction Steering Wheel, iPod/MP3 Media Interface, iPod/MP3 Media Interface Cable, KEYLESS GO?, Power Driver Seat & Steering Column w/Memory Package, Power Folding Mirrors, Power Liftgate, Power Passenger Seat w/Memory, Power Telescoping & Tilt Steering Column, Premium I, Rear-View Camera, SiriusXM Satellite Radio w/HD.Recent Arrival! Odometer is 26558 miles below market average!2012 Mercedes-Benz GL-Class 4D Sport Utility Capri Blue Metallic GL 450 4MATIC®? 4.6L V8 DOHC 32V 4MATIC®? 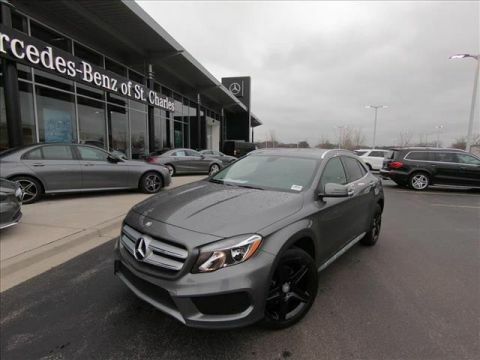 7-Speed AutomaticShopping at Mercedes-Benz of St Charles is car buying the way it should be: fun, informative and fairHere are our promises:* Transparent Pricing and Sales Process! * Pressure Free, Efficient, Friendly, and Helpful Sales Staff! * One Massive Inventory For One Stop Shopping! * No Hassle Sell or Trade Any Car* Pressure Free Road Test* Certified Factory Backed Service with Shuttle Service and Free Loaner Cars!Mercedes Benz of St Charles - The Best or Nothing! - Come See For Yourself Today! ** MERCEDES-BENZ CERTIFIED PRE-OWNED! **,** FIRST PAYMENT CREDIT OF UP TO $500 EXPIRES ON 2/28/19 **, ** SPECIAL FINANCING FOR AS LOW AS 1.99% **, **CERTIFIED BY CARFAX- NO ACCIDENTS AND ONE OWNER! **, ** NAVIGATION ! **, ** SPORT PACKAGE **, ** ALLOY WHEELS **, ** BLUETOOTH **, ** BACK-UP CAMERA! **, ** HEATED FRONT SEATS **, ** BLIND SPOT ASSIST **, ** ILLUMINATED STAR **, ** KEYLESS GO® **, 19 AMG®? Alloy Wheels, AMG® Bodystyling, Auto-Dimming Mirrors, Becker MAP PILOT®?, Compass, Dual Zone Climate Control, Garage Door Opener, harman/kardon®? Logic 7®? Digital Surround, Heated Front Seats, Illuminated Star, iPod/MP3 Media Interface, KEYLESS GO?, Navigation System, Premium Package, Rear-View Camera, SIRIUSXM Satellite Radio, Sport Package.New Price! CARFAX One-Owner. Clean CARFAX. Certified. Odometer is 4771 miles below market average!2015 Mercedes-Benz GLA 4D Sport Utility Mountain Gray Metallic GLA 250 4MATIC®? 2.0L I4 DI Turbocharged 4MATIC®? 7-Speed AutomaticMercedes-Benz Certified Pre-Owned Details: * Includes Trip Interruption Reimbursement and 7 days/500 miles Exchange Privilege * Transferable Warranty * Roadside Assistance * 165 Point Inspection * Vehicle History * Warranty Deductible: $0 * Limited Warranty: 12 Month/Unlimited Mile beginning after new car warranty expires or from certified purchase dateShopping at Mercedes-Benz of St Charles is car buying the way it should be: fun, informative and fairHere are our promises:* Transparent Pricing and Sales Process! * Pressure Free, Efficient, Friendly, and Helpful Sales Staff! * One Massive Inventory For One Stop Shopping! * No Hassle Sell or Trade Any Car* Pressure Free Road Test* Certified Factory Backed Service with Shuttle Service and Free Loaner Cars!Mercedes Benz of St Charles - The Best or Nothing! - Come See For Yourself Today! ** MERCEDES-BENZ CERTIFIED PRE-OWNED! **,** FIRST PAYMENT CREDIT OF UP TO $500 EXPIRES ON 2/28/19 **, ** SPECIAL FINANCING FOR AS LOW AS 1.99% **, **CERTIFIED BY CARFAX- NO ACCIDENTS AND ONE OWNER! **, ** NAVIGATION ! 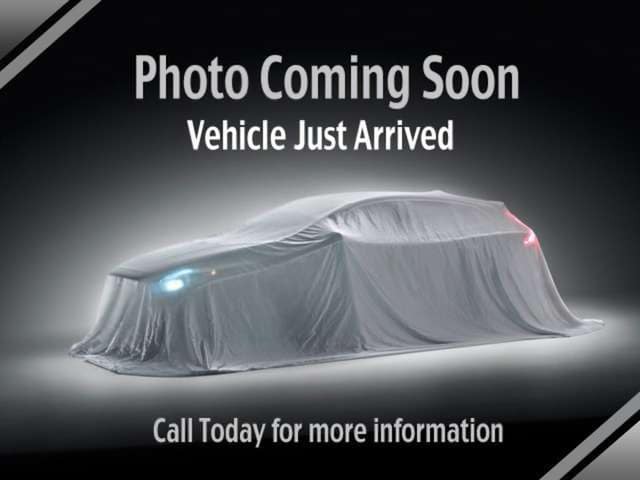 **, ** SPORT PACKAGE **, ** ALLOY WHEELS **, ** BLUETOOTH **, ** BACK-UP CAMERA! **, ** HEATED FRONT SEATS **, ** BLIND SPOT ASSIST **, ** ILLUMINATED STAR **, ** KEYLESS GO® **, 19 AMG®? Alloy Wheels, AMG® Bodystyling, Auto-Dimming Mirrors, Becker MAP PILOT®?, Compass, Dual Zone Climate Control, Garage Door Opener, harman/kardon®? Logic 7®? Digital Surround, Heated Front Seats, Illuminated Star, iPod/MP3 Media Interface, KEYLESS GO?, Navigation System, Premium Package, Rear-View Camera, SIRIUSXM Satellite Radio, Sport Package.New Price! CARFAX One-Owner. Clean CARFAX. Certified. Odometer is 4771 miles below market average!2015 Mercedes-Benz GLA 4D Sport Utility Mountain Gray Metallic GLA 250 4MATIC®? 2.0L I4 DI Turbocharged 4MATIC®? 7-Speed AutomaticMercedes-Benz Certified Pre-Owned Details: * Includes Trip Interruption Reimbursement and 7 days/500 miles Exchange Privilege * Transferable Warranty * Roadside Assistance * 165 Point Inspection * Vehicle History * Warranty Deductible: $0 * Limited Warranty: 12 Month/Unlimited Mile beginning after new car warranty expires or from certified purchase dateShopping at Mercedes-Benz of St Charles is car buying the way it should be: fun, informative and fairHere are our promises:* Transparent Pricing and Sales Process! * Pressure Free, Efficient, Friendly, and Helpful Sales Staff! * One Massive Inventory For One Stop Shopping! * No Hassle Sell or Trade Any Car* Pressure Free Road Test* Certified Factory Backed Service with Shuttle Service and Free Loaner Cars!Mercedes Benz of St Charles - The Best or Nothing! - Come See For Yourself Today! ** MERCEDES-BENZ CERTIFIED PRE-OWNED! **, ** SPECIAL FINANCING FOR AS LOW AS 1.99% **, **CERTIFIED BY CARFAX- NO ACCIDENTS AND ONE OWNER! **, ** NAVIGATION ! **, ** PREMIUM 1 PACKAGE **, ** ALLOY WHEELS **, ** BLUETOOTH **, ** BACK-UP CAMERA! **, ** HEATED FRONT SEATS **, ** KEYLESS START **, ** MULTIMEDIA PACKAGE **, ** BLIND SPOT ASSIST **, ** ILLUMINATED STAR **, 18 Twin 5-Spoke Alloy Wheels, Auto-Dimming Mirrors, Blind Spot Assist, COMAND® System w/Hard Drive Navigation, DVD Player, Garage Door Opener, harman/kardon®? Logic 7®? Audio System, Heated Front Seats, Illuminated Star, KEYLESS GO?, Multimedia Package, Navigation System, Premium Package, Rear-View Camera, Single CD/DVD Player, SIRIUSXM Satellite Radio, SiriusXM Traffic & Weather, Voice Control.CARFAX One-Owner. Clean CARFAX. Certified.2016 Mercedes-Benz GLA 4D Sport Utility Night Black GLA 250 4MATIC®? 2.0L I4 DI Turbocharged 4MATIC®? 7-Speed AutomaticMercedes-Benz Certified Pre-Owned Details: * Vehicle History * Transferable Warranty * 165 Point Inspection * Roadside Assistance * Limited Warranty: 12 Month/Unlimited Mile beginning after new car warranty expires or from certified purchase date * Includes Trip Interruption Reimbursement and 7 days/500 miles Exchange Privilege * Warranty Deductible: $0Shopping at Mercedes-Benz of St Charles is car buying the way it should be: fun, informative and fairHere are our promises:* Transparent Pricing and Sales Process! * Pressure Free, Efficient, Friendly, and Helpful Sales Staff! * One Massive Inventory For One Stop Shopping! * No Hassle Sell or Trade Any Car* Pressure Free Road Test* Certified Factory Backed Service with Shuttle Service and Free Loaner Cars!Mercedes Benz of St Charles - The Best or Nothing! - Come See For Yourself Today! ** MERCEDES-BENZ CERTIFIED PRE-OWNED! **, ** SPECIAL FINANCING FOR AS LOW AS 1.99% **, **CERTIFIED BY CARFAX- NO ACCIDENTS AND ONE OWNER! **, ** NAVIGATION ! **, ** PREMIUM 1 PACKAGE **, ** ALLOY WHEELS **, ** BLUETOOTH **, ** BACK-UP CAMERA! **, ** HEATED FRONT SEATS **, ** KEYLESS START **, ** MULTIMEDIA PACKAGE **, ** BLIND SPOT ASSIST **, ** ILLUMINATED STAR **, 18 Twin 5-Spoke Alloy Wheels, Auto-Dimming Mirrors, Blind Spot Assist, COMAND® System w/Hard Drive Navigation, DVD Player, Garage Door Opener, harman/kardon®? Logic 7®? Audio System, Heated Front Seats, Illuminated Star, KEYLESS GO?, Multimedia Package, Navigation System, Premium Package, Rear-View Camera, Single CD/DVD Player, SIRIUSXM Satellite Radio, SiriusXM Traffic & Weather, Voice Control.CARFAX One-Owner. Clean CARFAX. Certified.2016 Mercedes-Benz GLA 4D Sport Utility Night Black GLA 250 4MATIC®? 2.0L I4 DI Turbocharged 4MATIC®? 7-Speed AutomaticMercedes-Benz Certified Pre-Owned Details: * Vehicle History * Transferable Warranty * 165 Point Inspection * Roadside Assistance * Limited Warranty: 12 Month/Unlimited Mile beginning after new car warranty expires or from certified purchase date * Includes Trip Interruption Reimbursement and 7 days/500 miles Exchange Privilege * Warranty Deductible: $0Shopping at Mercedes-Benz of St Charles is car buying the way it should be: fun, informative and fairHere are our promises:* Transparent Pricing and Sales Process! * Pressure Free, Efficient, Friendly, and Helpful Sales Staff! * One Massive Inventory For One Stop Shopping! * No Hassle Sell or Trade Any Car* Pressure Free Road Test* Certified Factory Backed Service with Shuttle Service and Free Loaner Cars!Mercedes Benz of St Charles - The Best or Nothing! - Come See For Yourself Today! ** MERCEDES-BENZ CERTIFIED PRE-OWNED! **, ** SPECIAL FINANCING FOR AS LOW AS 1.99% **, **CERTIFIED BY CARFAX- NO ACCIDENTS AND ONE OWNER! **, ** NAVIGATION ! **, ** PREMIUM 1 PACKAGE **, ** ALLOY WHEELS **, ** BLUETOOTH **, ** HEATED FRONT SEATS **, ** KEYLESS START **, ** PANORAMIC MOONROOF! **, ** BLIND SPOT ASSIST **, ** ILLUMINATED STAR **, Auto-Dimming Mirrors, Blind Spot Assist, COMAND® System w/Hard Drive Navigation, DVD Player, Garage Door Opener, harman/kardon®? Logic 7®? Audio System, Heated Front Seats, Illuminated Star, KEYLESS GO?, Multimedia Package, Navigation System, Panorama Sunroof, Premium Package, Rear-View Camera, Single CD/DVD Player, SIRIUSXM Satellite Radio, SiriusXM Traffic & Weather, Voice Control.CARFAX One-Owner. Clean CARFAX. Certified.2016 Mercedes-Benz GLA 4D Sport Utility Cirrus White GLA 250 4MATIC®? 2.0L I4 DI Turbocharged 4MATIC®? 7-Speed AutomaticMercedes-Benz Certified Pre-Owned Details: * Warranty Deductible: $0 * Includes Trip Interruption Reimbursement and 7 days/500 miles Exchange Privilege * Limited Warranty: 12 Month/Unlimited Mile beginning after new car warranty expires or from certified purchase date * 165 Point Inspection * Transferable Warranty * Vehicle History * Roadside AssistanceShopping at Mercedes-Benz of St Charles is car buying the way it should be: fun, informative and fairHere are our promises:* Transparent Pricing and Sales Process! * Pressure Free, Efficient, Friendly, and Helpful Sales Staff! * One Massive Inventory For One Stop Shopping! * No Hassle Sell or Trade Any Car* Pressure Free Road Test* Certified Factory Backed Service with Shuttle Service and Free Loaner Cars!Mercedes Benz of St Charles - The Best or Nothing! - Come See For Yourself Today! ** MERCEDES-BENZ CERTIFIED PRE-OWNED! **, ** SPECIAL FINANCING FOR AS LOW AS 1.99% **, **CERTIFIED BY CARFAX- NO ACCIDENTS AND ONE OWNER! **, ** NAVIGATION ! **, ** PREMIUM 1 PACKAGE **, ** ALLOY WHEELS **, ** BLUETOOTH **, ** HEATED FRONT SEATS **, ** KEYLESS START **, ** PANORAMIC MOONROOF! **, ** BLIND SPOT ASSIST **, ** ILLUMINATED STAR **, Auto-Dimming Mirrors, Blind Spot Assist, COMAND® System w/Hard Drive Navigation, DVD Player, Garage Door Opener, harman/kardon®? Logic 7®? Audio System, Heated Front Seats, Illuminated Star, KEYLESS GO?, Multimedia Package, Navigation System, Panorama Sunroof, Premium Package, Rear-View Camera, Single CD/DVD Player, SIRIUSXM Satellite Radio, SiriusXM Traffic & Weather, Voice Control.CARFAX One-Owner. Clean CARFAX. Certified.2016 Mercedes-Benz GLA 4D Sport Utility Cirrus White GLA 250 4MATIC®? 2.0L I4 DI Turbocharged 4MATIC®? 7-Speed AutomaticMercedes-Benz Certified Pre-Owned Details: * Warranty Deductible: $0 * Includes Trip Interruption Reimbursement and 7 days/500 miles Exchange Privilege * Limited Warranty: 12 Month/Unlimited Mile beginning after new car warranty expires or from certified purchase date * 165 Point Inspection * Transferable Warranty * Vehicle History * Roadside AssistanceShopping at Mercedes-Benz of St Charles is car buying the way it should be: fun, informative and fairHere are our promises:* Transparent Pricing and Sales Process! * Pressure Free, Efficient, Friendly, and Helpful Sales Staff! * One Massive Inventory For One Stop Shopping! * No Hassle Sell or Trade Any Car* Pressure Free Road Test* Certified Factory Backed Service with Shuttle Service and Free Loaner Cars!Mercedes Benz of St Charles - The Best or Nothing! - Come See For Yourself Today! ** MERCEDES-BENZ CERTIFIED PRE-OWNED! **, ** SPECIAL FINANCING FOR AS LOW AS 1.99% **, **CERTIFIED BY CARFAX- NO ACCIDENTS AND ONE OWNER! **, ** NAVIGATION ! **, ** PREMIUM 2 PACKAGE **, ** ALLOY WHEELS **, ** BLUETOOTH **, ** BACK-UP CAMERA! **, ** HEATED FRONT SEATS **, ** KEYLESS START **, ** PANORAMIC MOONROOF! **, ** BLIND SPOT ASSIST **, ** HEATED STEERING WHEEL **, ** LED HEADLAMPS **, ** REAR DECK SPOILER **, Alloy wheels, Blind Spot Assist, Heated Front Seats, Heated Steering Wheel, LED Headlamps, Navigation System, Panorama Sunroof, Rear Trunk Lid Spoiler, Rear-View Camera, SD-Card for GARMIN Map Pilot Navigation.CARFAX One-Owner. Clean CARFAX. Certified.2016 Mercedes-Benz C-Class 4D Sedan Black C 300 4MATIC®? 2.0L I4 Turbocharged 4MATIC®? 7G-TRONIC PLUS 7-Speed AutomaticMercedes-Benz Certified Pre-Owned Details: * Transferable Warranty * 165 Point Inspection * Includes Trip Interruption Reimbursement and 7 days/500 miles Exchange Privilege * Warranty Deductible: $0 * Vehicle History * Roadside Assistance * Limited Warranty: 12 Month/Unlimited Mile beginning after new car warranty expires or from certified purchase dateShopping at Mercedes-Benz of St Charles is car buying the way it should be: fun, informative and fairHere are our promises:* Transparent Pricing and Sales Process! * Pressure Free, Efficient, Friendly, and Helpful Sales Staff! * One Massive Inventory For One Stop Shopping! * No Hassle Sell or Trade Any Car* Pressure Free Road Test* Certified Factory Backed Service with Shuttle Service and Free Loaner Cars!Mercedes Benz of St Charles - The Best or Nothing! - Come See For Yourself Today! ** MERCEDES-BENZ CERTIFIED PRE-OWNED! **, ** SPECIAL FINANCING FOR AS LOW AS 1.99% **, **CERTIFIED BY CARFAX- NO ACCIDENTS AND ONE OWNER! **, ** NAVIGATION ! **, ** PREMIUM 2 PACKAGE **, ** ALLOY WHEELS **, ** BLUETOOTH **, ** BACK-UP CAMERA! **, ** HEATED FRONT SEATS **, ** KEYLESS START **, ** PANORAMIC MOONROOF! **, ** BLIND SPOT ASSIST **, ** HEATED STEERING WHEEL **, ** LED HEADLAMPS **, ** REAR DECK SPOILER **, Alloy wheels, Blind Spot Assist, Heated Front Seats, Heated Steering Wheel, LED Headlamps, Navigation System, Panorama Sunroof, Rear Trunk Lid Spoiler, Rear-View Camera, SD-Card for GARMIN Map Pilot Navigation.CARFAX One-Owner. Clean CARFAX. Certified.2016 Mercedes-Benz C-Class 4D Sedan Black C 300 4MATIC®? 2.0L I4 Turbocharged 4MATIC®? 7G-TRONIC PLUS 7-Speed AutomaticMercedes-Benz Certified Pre-Owned Details: * Transferable Warranty * 165 Point Inspection * Includes Trip Interruption Reimbursement and 7 days/500 miles Exchange Privilege * Warranty Deductible: $0 * Vehicle History * Roadside Assistance * Limited Warranty: 12 Month/Unlimited Mile beginning after new car warranty expires or from certified purchase dateShopping at Mercedes-Benz of St Charles is car buying the way it should be: fun, informative and fairHere are our promises:* Transparent Pricing and Sales Process! * Pressure Free, Efficient, Friendly, and Helpful Sales Staff! * One Massive Inventory For One Stop Shopping! * No Hassle Sell or Trade Any Car* Pressure Free Road Test* Certified Factory Backed Service with Shuttle Service and Free Loaner Cars!Mercedes Benz of St Charles - The Best or Nothing! - Come See For Yourself Today! ** MERCEDES-BENZ CERTIFIED PRE-OWNED! **,** ORIGINAL MSRP $50,870 **, ** SPECIAL FINANCING FOR AS LOW AS 1.99% **, **CERTIFIED BY CARFAX- NO ACCIDENTS AND ONE OWNER! **, ** NAVIGATION ! **, ** PREMIUM 2 PACKAGE **, ** BLUETOOTH **, ** BACK-UP CAMERA! **, ** HEATED FRONT SEATS **, ** KEYLESS START **, ** PANORAMIC MOONROOF! **, ** MULTIMEDIA PACKAGE **, ** ILLUMINATED STAR **, ** LED HEADLAMPS **, ** HEATED STEERING WHEEL **, ** BLIND SPOT ASSIST **, ** REAR DECK SPOILER **, Blind Spot Assist, Burmester Premium Sound, COMAND® Navigation & Voice Control, Heated Front Seats, Heated Steering Wheel, Illuminated Star, KEYLESS GO?, LED Headlamps, Multimedia Package, Navigation Map Updates Included For 3 Years, Navigation System, Panorama Sunroof, Premium 2 Package, Rear Trunk Lid Spoiler, Rear-View Camera, SiriusXM Satellite Radio, SiriusXM Traffic and Weather Services, Surround Light Mirror Mounted Entry Lamps.CARFAX One-Owner. Clean CARFAX. Certified.2016 Mercedes-Benz C-Class 4D Sedan Polar White C 300 4MATIC®? 2.0L I4 Turbocharged 4MATIC®? 7G-TRONIC PLUS 7-Speed AutomaticMercedes-Benz Certified Pre-Owned Details: * 165 Point Inspection * Includes Trip Interruption Reimbursement and 7 days/500 miles Exchange Privilege * Warranty Deductible: $0 * Limited Warranty: 12 Month/Unlimited Mile beginning after new car warranty expires or from certified purchase date * Transferable Warranty * Vehicle History * Roadside AssistanceShopping at Mercedes-Benz of St Charles is car buying the way it should be: fun, informative and fairHere are our promises:* Transparent Pricing and Sales Process! * Pressure Free, Efficient, Friendly, and Helpful Sales Staff! * One Massive Inventory For One Stop Shopping! * No Hassle Sell or Trade Any Car* Pressure Free Road Test* Certified Factory Backed Service with Shuttle Service and Free Loaner Cars!Mercedes Benz of St Charles - The Best or Nothing! - Come See For Yourself Today! ** MERCEDES-BENZ CERTIFIED PRE-OWNED! **,** ORIGINAL MSRP $50,870 **, ** SPECIAL FINANCING FOR AS LOW AS 1.99% **, **CERTIFIED BY CARFAX- NO ACCIDENTS AND ONE OWNER! **, ** NAVIGATION ! **, ** PREMIUM 2 PACKAGE **, ** BLUETOOTH **, ** BACK-UP CAMERA! **, ** HEATED FRONT SEATS **, ** KEYLESS START **, ** PANORAMIC MOONROOF! **, ** MULTIMEDIA PACKAGE **, ** ILLUMINATED STAR **, ** LED HEADLAMPS **, ** HEATED STEERING WHEEL **, ** BLIND SPOT ASSIST **, ** REAR DECK SPOILER **, Blind Spot Assist, Burmester Premium Sound, COMAND® Navigation & Voice Control, Heated Front Seats, Heated Steering Wheel, Illuminated Star, KEYLESS GO?, LED Headlamps, Multimedia Package, Navigation Map Updates Included For 3 Years, Navigation System, Panorama Sunroof, Premium 2 Package, Rear Trunk Lid Spoiler, Rear-View Camera, SiriusXM Satellite Radio, SiriusXM Traffic and Weather Services, Surround Light Mirror Mounted Entry Lamps.CARFAX One-Owner. Clean CARFAX. Certified.2016 Mercedes-Benz C-Class 4D Sedan Polar White C 300 4MATIC®? 2.0L I4 Turbocharged 4MATIC®? 7G-TRONIC PLUS 7-Speed AutomaticMercedes-Benz Certified Pre-Owned Details: * 165 Point Inspection * Includes Trip Interruption Reimbursement and 7 days/500 miles Exchange Privilege * Warranty Deductible: $0 * Limited Warranty: 12 Month/Unlimited Mile beginning after new car warranty expires or from certified purchase date * Transferable Warranty * Vehicle History * Roadside AssistanceShopping at Mercedes-Benz of St Charles is car buying the way it should be: fun, informative and fairHere are our promises:* Transparent Pricing and Sales Process! * Pressure Free, Efficient, Friendly, and Helpful Sales Staff! * One Massive Inventory For One Stop Shopping! * No Hassle Sell or Trade Any Car* Pressure Free Road Test* Certified Factory Backed Service with Shuttle Service and Free Loaner Cars!Mercedes Benz of St Charles - The Best or Nothing! - Come See For Yourself Today! ** MERCEDES-BENZ CERTIFIED PRE-OWNED! **, ** SPECIAL FINANCING FOR AS LOW AS 1.99% **, **CERTIFIED BY CARFAX- NO ACCIDENTS AND ONE OWNER! **, ** NAVIGATION ! **, ** PREMIUM 2 PACKAGE **, ** ALLOY WHEELS **, ** BLUETOOTH **, ** HEATED FRONT SEATS **, ** KEYLESS START **, ** PANORAMIC MOONROOF! **, ** BLIND SPOT ASSIST **, ** ILLUMINATED STAR **, ** REAR DECKLID SPOILER **, ** LED HEADLAMPS **, ** HEATED STEERING WHEEL **, Alloy wheels, Blind Spot Assist, Burmester Premium Sound, COMAND® Navigation & Voice Control, Heated Front Seats, Heated Steering Wheel, Illuminated Star, KEYLESS GO?, LED Headlamps, Multimedia Package, Navigation Map Updates Included For 3 Years, Navigation System, Panorama Sunroof, Premium 2 Package, Rear Trunk Lid Spoiler, SiriusXM Satellite Radio, SiriusXM Traffic and Weather Services.CARFAX One-Owner. Clean CARFAX. Certified. Odometer is 7160 miles below market average!2016 Mercedes-Benz C-Class 4D Sedan Polar White C 300 4MATIC®? 2.0L I4 Turbocharged 4MATIC®? 7G-TRONIC PLUS 7-Speed AutomaticMercedes-Benz Certified Pre-Owned Details: * Transferable Warranty * 165 Point Inspection * Warranty Deductible: $0 * Vehicle History * Includes Trip Interruption Reimbursement and 7 days/500 miles Exchange Privilege * Limited Warranty: 12 Month/Unlimited Mile beginning after new car warranty expires or from certified purchase date * Roadside AssistanceShopping at Mercedes-Benz of St Charles is car buying the way it should be: fun, informative and fairHere are our promises:* Transparent Pricing and Sales Process! * Pressure Free, Efficient, Friendly, and Helpful Sales Staff! * One Massive Inventory For One Stop Shopping! * No Hassle Sell or Trade Any Car* Pressure Free Road Test* Certified Factory Backed Service with Shuttle Service and Free Loaner Cars!Mercedes Benz of St Charles - The Best or Nothing! - Come See For Yourself Today! ** MERCEDES-BENZ CERTIFIED PRE-OWNED! **, ** SPECIAL FINANCING FOR AS LOW AS 1.99% **, **CERTIFIED BY CARFAX- NO ACCIDENTS AND ONE OWNER! **, ** NAVIGATION ! **, ** PREMIUM 2 PACKAGE **, ** ALLOY WHEELS **, ** BLUETOOTH **, ** HEATED FRONT SEATS **, ** KEYLESS START **, ** PANORAMIC MOONROOF! **, ** BLIND SPOT ASSIST **, ** ILLUMINATED STAR **, ** REAR DECKLID SPOILER **, ** LED HEADLAMPS **, ** HEATED STEERING WHEEL **, Alloy wheels, Blind Spot Assist, Burmester Premium Sound, COMAND® Navigation & Voice Control, Heated Front Seats, Heated Steering Wheel, Illuminated Star, KEYLESS GO?, LED Headlamps, Multimedia Package, Navigation Map Updates Included For 3 Years, Navigation System, Panorama Sunroof, Premium 2 Package, Rear Trunk Lid Spoiler, SiriusXM Satellite Radio, SiriusXM Traffic and Weather Services.CARFAX One-Owner. Clean CARFAX. Certified. 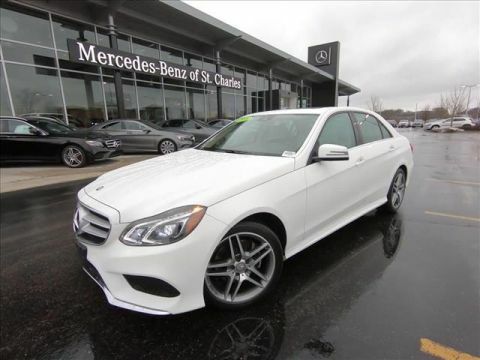 Odometer is 7160 miles below market average!2016 Mercedes-Benz C-Class 4D Sedan Polar White C 300 4MATIC®? 2.0L I4 Turbocharged 4MATIC®? 7G-TRONIC PLUS 7-Speed AutomaticMercedes-Benz Certified Pre-Owned Details: * Transferable Warranty * 165 Point Inspection * Warranty Deductible: $0 * Vehicle History * Includes Trip Interruption Reimbursement and 7 days/500 miles Exchange Privilege * Limited Warranty: 12 Month/Unlimited Mile beginning after new car warranty expires or from certified purchase date * Roadside AssistanceShopping at Mercedes-Benz of St Charles is car buying the way it should be: fun, informative and fairHere are our promises:* Transparent Pricing and Sales Process! * Pressure Free, Efficient, Friendly, and Helpful Sales Staff! * One Massive Inventory For One Stop Shopping! * No Hassle Sell or Trade Any Car* Pressure Free Road Test* Certified Factory Backed Service with Shuttle Service and Free Loaner Cars!Mercedes Benz of St Charles - The Best or Nothing! - Come See For Yourself Today! ** MERCEDES-BENZ CERTIFIED PRE-OWNED! **, ** SPECIAL FINANCING FOR AS LOW AS 1.99% **, **CERTIFIED BY CARFAX- NO ACCIDENTS AND ONE OWNER! **, ** NAVIGATION ! **, ** PREMIUM 1 PACKAGE **, ** ALLOY WHEELS **, ** BLUETOOTH **, ** BACK-UP CAMERA! **, ** HEATED FRONT SEATS **, ** KEYLESS START **, ** PANORAMIC MOONROOF! **, ** BLIND SPOT ASSIST **, ** REAR DECK SPOILER **, Alloy wheels, Blind Spot Assist, Heated Front Seats, KEYLESS GO?, Navigation System, Panorama Sunroof, Premium 1 Package, Rear Trunk Lid Spoiler, Rear-View Camera, SiriusXM Satellite Radio, Surround Light Mirror Mounted Entry Lamps.CARFAX One-Owner. Clean CARFAX. Certified. Odometer is 12639 miles below market average!2016 Mercedes-Benz C-Class 4D Sedan Black C 300 4MATIC®? 2.0L I4 Turbocharged 4MATIC®? 7G-TRONIC PLUS 7-Speed AutomaticMercedes-Benz Certified Pre-Owned Details: * Includes Trip Interruption Reimbursement and 7 days/500 miles Exchange Privilege * Limited Warranty: 12 Month/Unlimited Mile beginning after new car warranty expires or from certified purchase date * 165 Point Inspection * Roadside Assistance * Transferable Warranty * Warranty Deductible: $0 * Vehicle HistoryShopping at Mercedes-Benz of St Charles is car buying the way it should be: fun, informative and fairHere are our promises:* Transparent Pricing and Sales Process! * Pressure Free, Efficient, Friendly, and Helpful Sales Staff! * One Massive Inventory For One Stop Shopping! * No Hassle Sell or Trade Any Car* Pressure Free Road Test* Certified Factory Backed Service with Shuttle Service and Free Loaner Cars!Mercedes Benz of St Charles - The Best or Nothing! - Come See For Yourself Today! ** MERCEDES-BENZ CERTIFIED PRE-OWNED! **, ** SPECIAL FINANCING FOR AS LOW AS 1.99% **, **CERTIFIED BY CARFAX- NO ACCIDENTS AND ONE OWNER! **, ** NAVIGATION ! **, ** PREMIUM 1 PACKAGE **, ** ALLOY WHEELS **, ** BLUETOOTH **, ** BACK-UP CAMERA! **, ** HEATED FRONT SEATS **, ** KEYLESS START **, ** PANORAMIC MOONROOF! **, ** BLIND SPOT ASSIST **, ** REAR DECK SPOILER **, Alloy wheels, Blind Spot Assist, Heated Front Seats, KEYLESS GO?, Navigation System, Panorama Sunroof, Premium 1 Package, Rear Trunk Lid Spoiler, Rear-View Camera, SiriusXM Satellite Radio, Surround Light Mirror Mounted Entry Lamps.CARFAX One-Owner. Clean CARFAX. Certified. Odometer is 12639 miles below market average!2016 Mercedes-Benz C-Class 4D Sedan Black C 300 4MATIC®? 2.0L I4 Turbocharged 4MATIC®? 7G-TRONIC PLUS 7-Speed AutomaticMercedes-Benz Certified Pre-Owned Details: * Includes Trip Interruption Reimbursement and 7 days/500 miles Exchange Privilege * Limited Warranty: 12 Month/Unlimited Mile beginning after new car warranty expires or from certified purchase date * 165 Point Inspection * Roadside Assistance * Transferable Warranty * Warranty Deductible: $0 * Vehicle HistoryShopping at Mercedes-Benz of St Charles is car buying the way it should be: fun, informative and fairHere are our promises:* Transparent Pricing and Sales Process! * Pressure Free, Efficient, Friendly, and Helpful Sales Staff! * One Massive Inventory For One Stop Shopping! * No Hassle Sell or Trade Any Car* Pressure Free Road Test* Certified Factory Backed Service with Shuttle Service and Free Loaner Cars!Mercedes Benz of St Charles - The Best or Nothing! - Come See For Yourself Today! ** MERCEDES-BENZ CERTIFIED PRE-OWNED! **, ** SPECIAL FINANCING FOR AS LOW AS 1.99% **, **CERTIFIED BY CARFAX- NO ACCIDENTS AND ONE OWNER! **, ** NAVIGATION ! **, ** PREMIUM 1 PACKAGE **, ** ALLOY WHEELS **, ** BLUETOOTH **, ** BACK-UP CAMERA! **, ** HEATED FRONT SEATS **, ** KEYLESS START **, ** PANORAMIC MOONROOF! **, ** BLIND SPOT ASSIST **, ** 18 INCH WHEELS **, 18 Twin 5-Spoke Alloy Wheels, Auto-Dimming Mirrors, Blind Spot Assist, Garage Door Opener, Garmin MAP PILOT®, harman/kardon®? Logic 7®? Audio System, Heated Front Seats, KEYLESS GO?, Navigation System, Panorama Sunroof, Premium Package, Rear-View Camera, SIRIUSXM Satellite Radio.Recent Arrival! CARFAX One-Owner. Clean CARFAX. Certified. Odometer is 3144 miles below market average!2016 Mercedes-Benz GLA 4D Sport Utility Mountain Gray Metallic GLA 250 4MATIC®? 2.0L I4 DI Turbocharged 4MATIC®? 7-Speed AutomaticMercedes-Benz Certified Pre-Owned Details: * Vehicle History * Includes Trip Interruption Reimbursement and 7 days/500 miles Exchange Privilege * Transferable Warranty * 165 Point Inspection * Warranty Deductible: $0 * Roadside Assistance * Limited Warranty: 12 Month/Unlimited Mile beginning after new car warranty expires or from certified purchase dateShopping at Mercedes-Benz of St Charles is car buying the way it should be: fun, informative and fairHere are our promises:* Transparent Pricing and Sales Process! * Pressure Free, Efficient, Friendly, and Helpful Sales Staff! * One Massive Inventory For One Stop Shopping! * No Hassle Sell or Trade Any Car* Pressure Free Road Test* Certified Factory Backed Service with Shuttle Service and Free Loaner Cars!Mercedes Benz of St Charles - The Best or Nothing! - Come See For Yourself Today! ** MERCEDES-BENZ CERTIFIED PRE-OWNED! **, ** SPECIAL FINANCING FOR AS LOW AS 1.99% **, **CERTIFIED BY CARFAX- NO ACCIDENTS AND ONE OWNER! **, ** NAVIGATION ! **, ** PREMIUM 1 PACKAGE **, ** ALLOY WHEELS **, ** BLUETOOTH **, ** BACK-UP CAMERA! **, ** HEATED FRONT SEATS **, ** KEYLESS START **, ** PANORAMIC MOONROOF! **, ** BLIND SPOT ASSIST **, ** 18 INCH WHEELS **, 18 Twin 5-Spoke Alloy Wheels, Auto-Dimming Mirrors, Blind Spot Assist, Garage Door Opener, Garmin MAP PILOT®, harman/kardon®? Logic 7®? Audio System, Heated Front Seats, KEYLESS GO?, Navigation System, Panorama Sunroof, Premium Package, Rear-View Camera, SIRIUSXM Satellite Radio.Recent Arrival! CARFAX One-Owner. Clean CARFAX. Certified. Odometer is 3144 miles below market average!2016 Mercedes-Benz GLA 4D Sport Utility Mountain Gray Metallic GLA 250 4MATIC®? 2.0L I4 DI Turbocharged 4MATIC®? 7-Speed AutomaticMercedes-Benz Certified Pre-Owned Details: * Vehicle History * Includes Trip Interruption Reimbursement and 7 days/500 miles Exchange Privilege * Transferable Warranty * 165 Point Inspection * Warranty Deductible: $0 * Roadside Assistance * Limited Warranty: 12 Month/Unlimited Mile beginning after new car warranty expires or from certified purchase dateShopping at Mercedes-Benz of St Charles is car buying the way it should be: fun, informative and fairHere are our promises:* Transparent Pricing and Sales Process! * Pressure Free, Efficient, Friendly, and Helpful Sales Staff! * One Massive Inventory For One Stop Shopping! * No Hassle Sell or Trade Any Car* Pressure Free Road Test* Certified Factory Backed Service with Shuttle Service and Free Loaner Cars!Mercedes Benz of St Charles - The Best or Nothing! - Come See For Yourself Today! ** MERCEDES-BENZ CERTIFIED PRE-OWNED! **, ** SPECIAL FINANCING FOR AS LOW AS 1.99% **, **CERTIFIED BY CARFAX- NO ACCIDENTS AND ONE OWNER! **, ** NAVIGATION ! **, ** PREMIUM 1 PACKAGE **, ** AMG®-SPORT PACKAGE! **, ** BLUETOOTH **, ** BACK-UP CAMERA! **, ** HEATED FRONT SEATS **, ** KEYLESS START **, ** PANORAMIC MOONROOF! **, ** 18 INCH AMG® ALLOY WHEELS **, ** HEATED STEERING WHEEL **, ** REAR DECK SPOILER **, ** BLIND SPOT ASSIST **, 18 AMG®? 5-Spoke Alloy Wheels, Artico Instrument Cluster, Blind Spot Assist, Heated Front Seats, Heated Steering Wheel, KEYLESS GO?, Navigation System, Panorama Sunroof, Premium 1 Package, Rear Trunk Lid Spoiler, Rear-View Camera, SD-Card for GARMIN Map Pilot Navigation, SiriusXM Satellite Radio, Sport Package, Surround Light Mirror Mounted Entry Lamps.CARFAX One-Owner. Clean CARFAX. Certified. Odometer is 10584 miles below market average!2016 Mercedes-Benz C-Class 4D Sedan Black C 300 4MATIC®? 2.0L I4 Turbocharged 4MATIC®? 7G-TRONIC PLUS 7-Speed AutomaticMercedes-Benz Certified Pre-Owned Details: * Roadside Assistance * Transferable Warranty * Includes Trip Interruption Reimbursement and 7 days/500 miles Exchange Privilege * Vehicle History * Warranty Deductible: $0 * 165 Point Inspection * Limited Warranty: 12 Month/Unlimited Mile beginning after new car warranty expires or from certified purchase dateShopping at Mercedes-Benz of St Charles is car buying the way it should be: fun, informative and fairHere are our promises:* Transparent Pricing and Sales Process! * Pressure Free, Efficient, Friendly, and Helpful Sales Staff! * One Massive Inventory For One Stop Shopping! * No Hassle Sell or Trade Any Car* Pressure Free Road Test* Certified Factory Backed Service with Shuttle Service and Free Loaner Cars!Mercedes Benz of St Charles - The Best or Nothing! - Come See For Yourself Today! ** MERCEDES-BENZ CERTIFIED PRE-OWNED! **, ** SPECIAL FINANCING FOR AS LOW AS 1.99% **, **CERTIFIED BY CARFAX- NO ACCIDENTS AND ONE OWNER! **, ** NAVIGATION ! **, ** PREMIUM 1 PACKAGE **, ** AMG®-SPORT PACKAGE! **, ** BLUETOOTH **, ** BACK-UP CAMERA! **, ** HEATED FRONT SEATS **, ** KEYLESS START **, ** PANORAMIC MOONROOF! **, ** 18 INCH AMG® ALLOY WHEELS **, ** HEATED STEERING WHEEL **, ** REAR DECK SPOILER **, ** BLIND SPOT ASSIST **, 18 AMG®? 5-Spoke Alloy Wheels, Artico Instrument Cluster, Blind Spot Assist, Heated Front Seats, Heated Steering Wheel, KEYLESS GO?, Navigation System, Panorama Sunroof, Premium 1 Package, Rear Trunk Lid Spoiler, Rear-View Camera, SD-Card for GARMIN Map Pilot Navigation, SiriusXM Satellite Radio, Sport Package, Surround Light Mirror Mounted Entry Lamps.CARFAX One-Owner. Clean CARFAX. Certified. Odometer is 10584 miles below market average!2016 Mercedes-Benz C-Class 4D Sedan Black C 300 4MATIC®? 2.0L I4 Turbocharged 4MATIC®? 7G-TRONIC PLUS 7-Speed AutomaticMercedes-Benz Certified Pre-Owned Details: * Roadside Assistance * Transferable Warranty * Includes Trip Interruption Reimbursement and 7 days/500 miles Exchange Privilege * Vehicle History * Warranty Deductible: $0 * 165 Point Inspection * Limited Warranty: 12 Month/Unlimited Mile beginning after new car warranty expires or from certified purchase dateShopping at Mercedes-Benz of St Charles is car buying the way it should be: fun, informative and fairHere are our promises:* Transparent Pricing and Sales Process! * Pressure Free, Efficient, Friendly, and Helpful Sales Staff! * One Massive Inventory For One Stop Shopping! * No Hassle Sell or Trade Any Car* Pressure Free Road Test* Certified Factory Backed Service with Shuttle Service and Free Loaner Cars!Mercedes Benz of St Charles - The Best or Nothing! - Come See For Yourself Today! ** MERCEDES-BENZ CERTIFIED PRE-OWNED! **, ** SPECIAL FINANCING FOR AS LOW AS 1.99% **, **CERTIFIED BY CARFAX- NO ACCIDENTS AND ONE OWNER! **, ** NAVIGATION ! **, ** PREMIUM 2 PACKAGE **, ** SPORT PACKAGE **, ** BLUETOOTH **, ** HEATED FRONT SEATS **, ** KEYLESS START **, ** PANORAMIC MOONROOF! **, ** MULTIMEDIA PACKAGE **, ** BLIND SPOT ASSIST **, ** LED HEADLAMPS **, ** HEATED STEERING WHEEL **, ** ILLUMINATED STAR **, ** REAR DECKLID SPOILER **, 18 AMG®? 5-Spoke Alloy Wheels, Blind Spot Assist, Burmester Premium Sound, COMAND® Navigation & Voice Control, Heated Front Seats, Heated Steering Wheel, Illuminated Star, KEYLESS GO?, LED Headlamps, Multimedia Package, Navigation System, Panorama Sunroof, Premium 2 Package, Rear Trunk Lid Spoiler, Rear-View Camera, SiriusXM Satellite Radio, SiriusXM Traffic and Weather Services, Sport Package.CARFAX One-Owner. Certified. Odometer is 2251 miles below market average!2016 Mercedes-Benz C-Class 4D Sedan Black C 300 4MATIC®? 2.0L I4 Turbocharged 4MATIC®? 7G-TRONIC PLUS 7-Speed AutomaticMercedes-Benz Certified Pre-Owned Details: * Transferable Warranty * Limited Warranty: 12 Month/Unlimited Mile beginning after new car warranty expires or from certified purchase date * 165 Point Inspection * Warranty Deductible: $0 * Roadside Assistance * Vehicle History * Includes Trip Interruption Reimbursement and 7 days/500 miles Exchange PrivilegeShopping at Mercedes-Benz of St Charles is car buying the way it should be: fun, informative and fairHere are our promises:* Transparent Pricing and Sales Process! * Pressure Free, Efficient, Friendly, and Helpful Sales Staff! * One Massive Inventory For One Stop Shopping! * No Hassle Sell or Trade Any Car* Pressure Free Road Test* Certified Factory Backed Service with Shuttle Service and Free Loaner Cars!Mercedes Benz of St Charles - The Best or Nothing! - Come See For Yourself Today! ** MERCEDES-BENZ CERTIFIED PRE-OWNED! **, ** SPECIAL FINANCING FOR AS LOW AS 1.99% **, **CERTIFIED BY CARFAX- NO ACCIDENTS AND ONE OWNER! **, ** NAVIGATION ! **, ** PREMIUM 2 PACKAGE **, ** SPORT PACKAGE **, ** BLUETOOTH **, ** HEATED FRONT SEATS **, ** KEYLESS START **, ** PANORAMIC MOONROOF! **, ** MULTIMEDIA PACKAGE **, ** BLIND SPOT ASSIST **, ** LED HEADLAMPS **, ** HEATED STEERING WHEEL **, ** ILLUMINATED STAR **, ** REAR DECKLID SPOILER **, 18 AMG®? 5-Spoke Alloy Wheels, Blind Spot Assist, Burmester Premium Sound, COMAND® Navigation & Voice Control, Heated Front Seats, Heated Steering Wheel, Illuminated Star, KEYLESS GO?, LED Headlamps, Multimedia Package, Navigation System, Panorama Sunroof, Premium 2 Package, Rear Trunk Lid Spoiler, Rear-View Camera, SiriusXM Satellite Radio, SiriusXM Traffic and Weather Services, Sport Package.CARFAX One-Owner. Certified. Odometer is 2251 miles below market average!2016 Mercedes-Benz C-Class 4D Sedan Black C 300 4MATIC®? 2.0L I4 Turbocharged 4MATIC®? 7G-TRONIC PLUS 7-Speed AutomaticMercedes-Benz Certified Pre-Owned Details: * Transferable Warranty * Limited Warranty: 12 Month/Unlimited Mile beginning after new car warranty expires or from certified purchase date * 165 Point Inspection * Warranty Deductible: $0 * Roadside Assistance * Vehicle History * Includes Trip Interruption Reimbursement and 7 days/500 miles Exchange PrivilegeShopping at Mercedes-Benz of St Charles is car buying the way it should be: fun, informative and fairHere are our promises:* Transparent Pricing and Sales Process! * Pressure Free, Efficient, Friendly, and Helpful Sales Staff! * One Massive Inventory For One Stop Shopping! * No Hassle Sell or Trade Any Car* Pressure Free Road Test* Certified Factory Backed Service with Shuttle Service and Free Loaner Cars!Mercedes Benz of St Charles - The Best or Nothing! - Come See For Yourself Today! **CERTIFIED BY CARFAX- NO ACCIDENTS AND ONE OWNER! **, ** NAVIGATION ! **, ** PREMIUM 1 PACKAGE **, ** SPORT PACKAGE **, ** ALLOY WHEELS **, ** BLUETOOTH **, ** LANE TRACKING/BLIND SPOT ASSIST **, ** BACK-UP CAMERA! **, ** HEATED FRONT SEATS **, ** KEYLESS START **, ** SUNROOF/MOONROOF **, **, ** REAR DECKLID SPOILER **, ** 18 INCH AMG® WHEELS **, 18 AMG®? Twin 5-Spoke Wheels, 3-Spoke Flat-Bottom Sport Steering Wheel, Aluminum Pedals w/Rubber Studs, AMG®? Sport Package, Blind Spot Assist, harman/kardon®? Logic 7®? Surround Sound System, Heated Front Seats, Lane Keeping Assist, Lane Keeping Assist Package, Lane Tracking Package, Multicontour Front Seats, Navigation System, Perforated Brake Discs, Power Folding Mirrors, Power moonroof: Panorama, Power Rear-Window Shade, Premium 1 Package, Radio: COMAND® w/Navigation and Voice Control, Rear Trunklid Spoiler, Rear-View Camera, SIRIUSXM Satellite Radio, Sport Package, Sport-Tuned AGILITY CONTROL® Suspension.CARFAX One-Owner. Odometer is 21907 miles below market average!2015 Mercedes-Benz E-Class 2D Coupe designo® Diamond White E 400 4MATIC®? 3.0L V6 DI DOHC 4MATIC®? 7-Speed AutomaticAwards: * 2015 IIHS Top Safety Pick+Shopping at Mercedes-Benz of St Charles is car buying the way it should be: fun, informative and fairHere are our promises:* Transparent Pricing and Sales Process! * Pressure Free, Efficient, Friendly, and Helpful Sales Staff! * One Massive Inventory For One Stop Shopping! * No Hassle Sell or Trade Any Car* Pressure Free Road Test* Certified Factory Backed Service with Shuttle Service and Free Loaner Cars!Mercedes Benz of St Charles - The Best or Nothing! - Come See For Yourself Today! **CERTIFIED BY CARFAX- NO ACCIDENTS AND ONE OWNER! **, ** NAVIGATION ! **, ** PREMIUM 1 PACKAGE **, ** SPORT PACKAGE **, ** ALLOY WHEELS **, ** BLUETOOTH **, ** LANE TRACKING/BLIND SPOT ASSIST **, ** BACK-UP CAMERA! **, ** HEATED FRONT SEATS **, ** KEYLESS START **, ** SUNROOF/MOONROOF **, **, ** REAR DECKLID SPOILER **, ** 18 INCH AMG® WHEELS **, 18 AMG®? Twin 5-Spoke Wheels, 3-Spoke Flat-Bottom Sport Steering Wheel, Aluminum Pedals w/Rubber Studs, AMG®? Sport Package, Blind Spot Assist, harman/kardon®? Logic 7®? Surround Sound System, Heated Front Seats, Lane Keeping Assist, Lane Keeping Assist Package, Lane Tracking Package, Multicontour Front Seats, Navigation System, Perforated Brake Discs, Power Folding Mirrors, Power moonroof: Panorama, Power Rear-Window Shade, Premium 1 Package, Radio: COMAND® w/Navigation and Voice Control, Rear Trunklid Spoiler, Rear-View Camera, SIRIUSXM Satellite Radio, Sport Package, Sport-Tuned AGILITY CONTROL® Suspension.CARFAX One-Owner. Odometer is 21907 miles below market average!2015 Mercedes-Benz E-Class 2D Coupe designo® Diamond White E 400 4MATIC®? 3.0L V6 DI DOHC 4MATIC®? 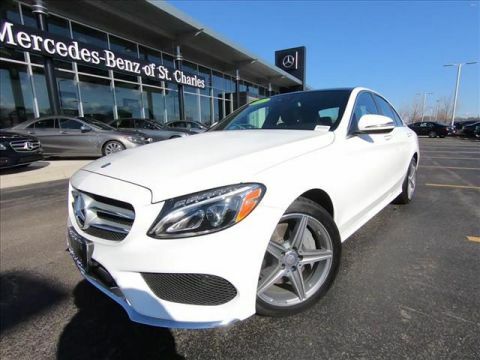 7-Speed AutomaticAwards: * 2015 IIHS Top Safety Pick+Shopping at Mercedes-Benz of St Charles is car buying the way it should be: fun, informative and fairHere are our promises:* Transparent Pricing and Sales Process! * Pressure Free, Efficient, Friendly, and Helpful Sales Staff! * One Massive Inventory For One Stop Shopping! * No Hassle Sell or Trade Any Car* Pressure Free Road Test* Certified Factory Backed Service with Shuttle Service and Free Loaner Cars!Mercedes Benz of St Charles - The Best or Nothing! - Come See For Yourself Today! ** MERCEDES-BENZ CERTIFIED PRE-OWNED! **, ** SPECIAL FINANCING FOR AS LOW AS 1.99% **, **CERTIFIED BY CARFAX- NO ACCIDENTS AND ONE OWNER! **, ** NAVIGATION ! **, ** PREMIUM 1 PACKAGE **, ** SPORT PACKAGE **, ** BLUETOOTH **, ** LANE TRACKING/BLIND SPOT ASSIST **, ** BACK-UP CAMERA! **, ** HEATED FRONT SEATS **, ** KEYLESS START **, ** SUNROOF/MOONROOF **, ** 18 INCH AMG® ALLOY WHEELS **, ** ILUMINATED STAR **, ** REAR DECKLID SPOILER **, ** 3-SPOKE SPORT STEERING WHEEL **, 18 Split 5-Spoke Alloy Wheels, Blind Spot Assist, COMAND® Navigation, Electronic Trunk Closer, Hands-Free Access, harman/kardon®? Logic 7®? Surround Sound System, Heated Front Seats, Illuminated Star, KEYLESS GO Package, KEYLESS GO?, Lane Keeping Assist, Lane Keeping Assist Package Code, Lane Tracking Package, Mirror Package, Navigation System, Power Folding Mirrors, Premium Package, Rear Spoiler, Rear-View Camera, Split-Folding Rear Seats, Sport Package.CARFAX One-Owner. Clean CARFAX. Certified.2016 Mercedes-Benz E-Class 4D Sedan Silver E 350 4MATIC®? 3.5L 6-Cylinder DOHC 4MATIC®? 7-Speed AutomaticMercedes-Benz Certified Pre-Owned Details: * Transferable Warranty * Warranty Deductible: $0 * Includes Trip Interruption Reimbursement and 7 days/500 miles Exchange Privilege * Vehicle History * 165 Point Inspection * Roadside Assistance * Limited Warranty: 12 Month/Unlimited Mile beginning after new car warranty expires or from certified purchase dateShopping at Mercedes-Benz of St Charles is car buying the way it should be: fun, informative and fairHere are our promises:* Transparent Pricing and Sales Process! * Pressure Free, Efficient, Friendly, and Helpful Sales Staff! * One Massive Inventory For One Stop Shopping! * No Hassle Sell or Trade Any Car* Pressure Free Road Test* Certified Factory Backed Service with Shuttle Service and Free Loaner Cars!Mercedes Benz of St Charles - The Best or Nothing! - Come See For Yourself Today! ** MERCEDES-BENZ CERTIFIED PRE-OWNED! **, ** SPECIAL FINANCING FOR AS LOW AS 1.99% **, **CERTIFIED BY CARFAX- NO ACCIDENTS AND ONE OWNER! **, ** NAVIGATION ! **, ** PREMIUM 1 PACKAGE **, ** SPORT PACKAGE **, ** BLUETOOTH **, ** LANE TRACKING/BLIND SPOT ASSIST **, ** BACK-UP CAMERA! **, ** HEATED FRONT SEATS **, ** KEYLESS START **, ** SUNROOF/MOONROOF **, ** 18 INCH AMG® ALLOY WHEELS **, ** ILUMINATED STAR **, ** REAR DECKLID SPOILER **, ** 3-SPOKE SPORT STEERING WHEEL **, 18 Split 5-Spoke Alloy Wheels, Blind Spot Assist, COMAND® Navigation, Electronic Trunk Closer, Hands-Free Access, harman/kardon®? Logic 7®? Surround Sound System, Heated Front Seats, Illuminated Star, KEYLESS GO Package, KEYLESS GO?, Lane Keeping Assist, Lane Keeping Assist Package Code, Lane Tracking Package, Mirror Package, Navigation System, Power Folding Mirrors, Premium Package, Rear Spoiler, Rear-View Camera, Split-Folding Rear Seats, Sport Package.CARFAX One-Owner. Clean CARFAX. Certified.2016 Mercedes-Benz E-Class 4D Sedan Silver E 350 4MATIC®? 3.5L 6-Cylinder DOHC 4MATIC®? 7-Speed AutomaticMercedes-Benz Certified Pre-Owned Details: * Transferable Warranty * Warranty Deductible: $0 * Includes Trip Interruption Reimbursement and 7 days/500 miles Exchange Privilege * Vehicle History * 165 Point Inspection * Roadside Assistance * Limited Warranty: 12 Month/Unlimited Mile beginning after new car warranty expires or from certified purchase dateShopping at Mercedes-Benz of St Charles is car buying the way it should be: fun, informative and fairHere are our promises:* Transparent Pricing and Sales Process! * Pressure Free, Efficient, Friendly, and Helpful Sales Staff! * One Massive Inventory For One Stop Shopping! * No Hassle Sell or Trade Any Car* Pressure Free Road Test* Certified Factory Backed Service with Shuttle Service and Free Loaner Cars!Mercedes Benz of St Charles - The Best or Nothing! - Come See For Yourself Today! ** MERCEDES-BENZ CERTIFIED PRE-OWNED! **, ** SPECIAL FINANCING FOR AS LOW AS 1.99% **, **CERTIFIED BY CARFAX- NO ACCIDENTS AND ONE OWNER! **, ** NAVIGATION ! **, ** PREMIUM 1 PACKAGE **, ** SPORT PACKAGE **, ** LIGHTING PACKAGE **, ** ALLOY WHEELS **, ** BLUETOOTH **, ** LANE TRACKING/BLIND SPOT ASSIST **, ** BACK-UP CAMERA! **, ** HEATED FRONT SEATS **, ** KEYLESS START **, ** SUNROOF/MOONROOF **, ** REAR DECKLID SPOILER **, ** 18 INCH AMG® WHEELS **, 18 AMG®? Twin 5-Spoke Wheels, Adaptive Highbeam Assist, Blind Spot Assist, COMAND® Navigation, Full-LED Headlamps w/Active Curve Illumination, harman/kardon®? Logic 7®? Surround Sound System, Heated Front Seats, KEYLESS GO?, Lane Keeping Assist, Lane Keeping Assist Package Code, Lane Tracking Package, Lighting Package, Navigation System, Premium Package, Rear Spoiler, Rear-View Camera, SIRIUS Satellite Radio, Sport Package.CARFAX One-Owner. Clean CARFAX. Certified.2016 Mercedes-Benz E-Class 4D Sedan Polar White E 350 4MATIC®? 3.5L 6-Cylinder DOHC 4MATIC®? 7-Speed AutomaticMercedes-Benz Certified Pre-Owned Details: * 165 Point Inspection * Roadside Assistance * Includes Trip Interruption Reimbursement and 7 days/500 miles Exchange Privilege * Transferable Warranty * Warranty Deductible: $0 * Limited Warranty: 12 Month/Unlimited Mile beginning after new car warranty expires or from certified purchase date * Vehicle HistoryShopping at Mercedes-Benz of St Charles is car buying the way it should be: fun, informative and fairHere are our promises:* Transparent Pricing and Sales Process! * Pressure Free, Efficient, Friendly, and Helpful Sales Staff! * One Massive Inventory For One Stop Shopping! * No Hassle Sell or Trade Any Car* Pressure Free Road Test* Certified Factory Backed Service with Shuttle Service and Free Loaner Cars!Mercedes Benz of St Charles - The Best or Nothing! - Come See For Yourself Today! ** MERCEDES-BENZ CERTIFIED PRE-OWNED! **, ** SPECIAL FINANCING FOR AS LOW AS 1.99% **, **CERTIFIED BY CARFAX- NO ACCIDENTS AND ONE OWNER! **, ** NAVIGATION ! **, ** PREMIUM 1 PACKAGE **, ** SPORT PACKAGE **, ** LIGHTING PACKAGE **, ** ALLOY WHEELS **, ** BLUETOOTH **, ** LANE TRACKING/BLIND SPOT ASSIST **, ** BACK-UP CAMERA! **, ** HEATED FRONT SEATS **, ** KEYLESS START **, ** SUNROOF/MOONROOF **, ** REAR DECKLID SPOILER **, ** 18 INCH AMG® WHEELS **, 18 AMG®? Twin 5-Spoke Wheels, Adaptive Highbeam Assist, Blind Spot Assist, COMAND® Navigation, Full-LED Headlamps w/Active Curve Illumination, harman/kardon®? Logic 7®? Surround Sound System, Heated Front Seats, KEYLESS GO?, Lane Keeping Assist, Lane Keeping Assist Package Code, Lane Tracking Package, Lighting Package, Navigation System, Premium Package, Rear Spoiler, Rear-View Camera, SIRIUS Satellite Radio, Sport Package.CARFAX One-Owner. Clean CARFAX. Certified.2016 Mercedes-Benz E-Class 4D Sedan Polar White E 350 4MATIC®? 3.5L 6-Cylinder DOHC 4MATIC®? 7-Speed AutomaticMercedes-Benz Certified Pre-Owned Details: * 165 Point Inspection * Roadside Assistance * Includes Trip Interruption Reimbursement and 7 days/500 miles Exchange Privilege * Transferable Warranty * Warranty Deductible: $0 * Limited Warranty: 12 Month/Unlimited Mile beginning after new car warranty expires or from certified purchase date * Vehicle HistoryShopping at Mercedes-Benz of St Charles is car buying the way it should be: fun, informative and fairHere are our promises:* Transparent Pricing and Sales Process! * Pressure Free, Efficient, Friendly, and Helpful Sales Staff! * One Massive Inventory For One Stop Shopping! * No Hassle Sell or Trade Any Car* Pressure Free Road Test* Certified Factory Backed Service with Shuttle Service and Free Loaner Cars!Mercedes Benz of St Charles - The Best or Nothing! - Come See For Yourself Today! 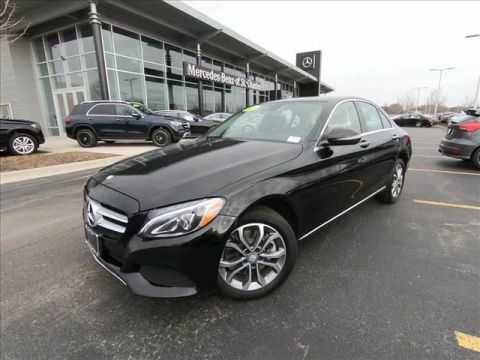 When it’s time to invest in a new Mercedes-Benz but you want to stick to a budget, be sure to check out all of our pre-owned Mercedes-Benz cars here at Mercedes-Benz of St. Charles! 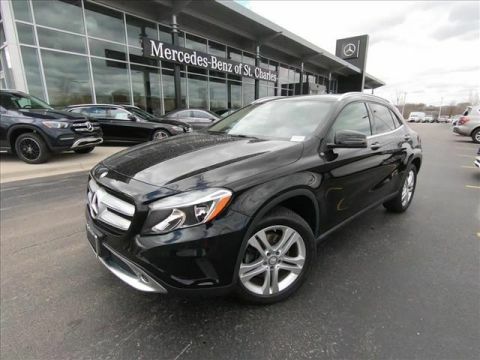 We know the purchasing a new 2019 Mercedes-Benz GLE or 2019 Mercedes-Benz E-Class isn’t always feasible, but you’ll certainly be able to find an excellent pre-owned vehicle in the inventory above. We’re also happy to offer new Mercedes specials and pre-owned Mercedes-Benz specials. When you purchase from us, you can rest assured that you will taken care of at our Mercedes service center in St. Charles, IL if you ever need maintenance down the road. We look forward to seeing you at our Mercedes dealership near Elgin, IL soon!